Robert Gerber and Olivia Lisbon are the first to graduate from Polk State's Bachelor of Science in Aerospace Sciences program. Among those marching in Thursday’s commencement ceremony will be the first graduates of Polk State’s Bachelor of Science in Aerospace Sciences program. “I couldn’t be more proud of these students. They were here at the beginning. They have worked very hard to get here. I’m thrilled to see what they go out and accomplish next,” said Polk State Aerospace Program Director Eric Crump. 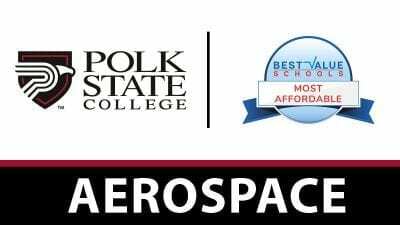 In response to local demand for a more highly trained aviation workforce, Polk State launched its Bachelor of Science in Aerospace Sciences in fall 2014, becoming the first public college or university in the state to offer the degree. The bachelor’s degree built on Polk State’s existing Associate in Science in Professional Pilot Science and Associate in Science in Aerospace Administration degrees, offering concentrations in both areas. The program’s first baccalaureate graduates, Robert Gerber and Olivia Lisbon, both studied Aerospace Administration and both, as one would expect, are thrilled to be making Polk State history this commencement. Lisbon, 23, caught the “aviation bug” as a student at Central Florida Aerospace Academy. After graduating from Polk State, she will pursue her interest in working for a fixed-base operator. FBOs provide a range of aviation-related services, including fueling, hangar space rentals, and assistance with lodging and ground transportation. Lisbon said she feels well prepared for the workforce because of the hands-on, real-world nature of Polk State’s Aerospace program. “I feel like I’m going to use everything I learned on the job one day,” she said. 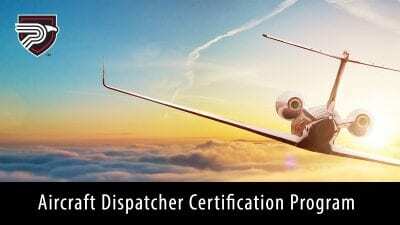 Gerber, 50, has dreamed of becoming a commercial pilot since he was 7, when he would watch planes fly in and out of Nashville International Airport. 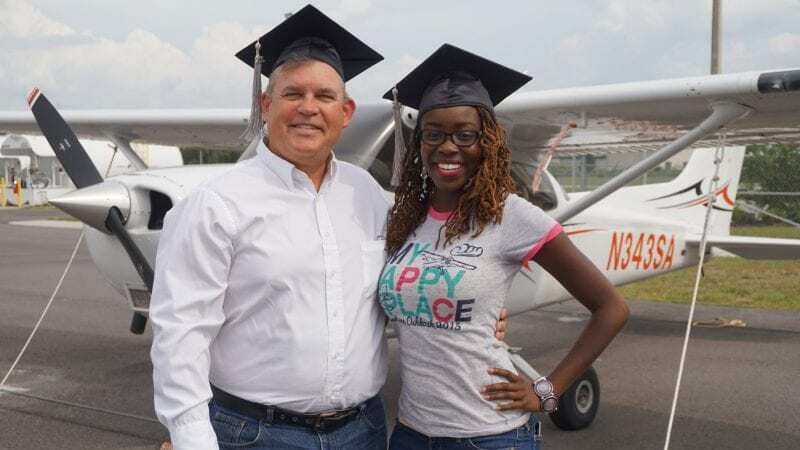 But the cost of flight training, combined with the twists and turns of life — he is married and has three children — caused him to postpone pursuing a career in aviation. Instead, he worked a variety of other jobs, including as a firefighter for 13 years. Along the way, he also earned his Associate in Science in Fire Science Technology, Associate in Arts, and Associate in Science in Accounting Technology from Polk State. When Polk State launched its bachelor’s degree in Aerospace Sciences, Gerber quickly enrolled, finally seeing a path back to his childhood dream. Gerber was one of the first Polk State Aerospace students to earn his private pilot certificate. He’s currently building his flight hours to obtain additional pilot credentials, with the aim of eventually flying for a commercial airline. He chose to study Aerospace Administration because he felt the degree would offer him more opportunities in the aviation field after he retires as a pilot.